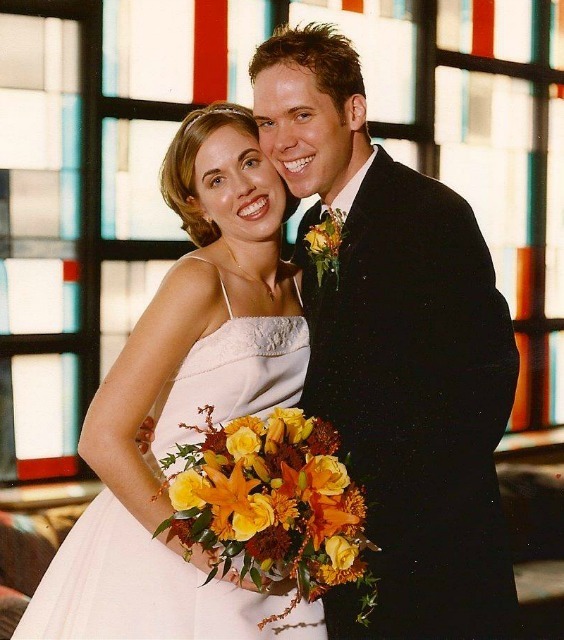 I missed Day 27 (yesterday) of my 31 Days With Mary series, because it was my 14th wedding anniversary! I spent part of my day cleaning out my front closet, which I am still working on. And I spent the other part of my day celebrating with my husband and children. It was a great day! 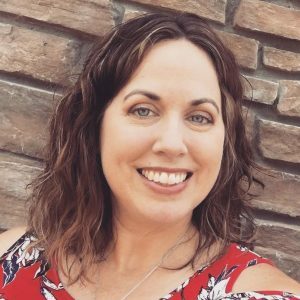 Today, Day 28, I am joining the Yarn Along link up to share what I am reading and what I am about to start knitting. 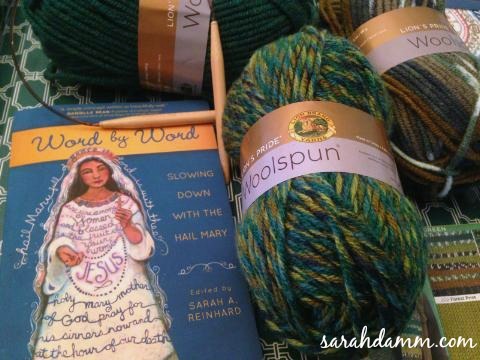 I am just beginning one of the newest Marian books on the market: Word by Word: Slowing Down With the Hail Mary, edited by Sarah A. Reinhard. 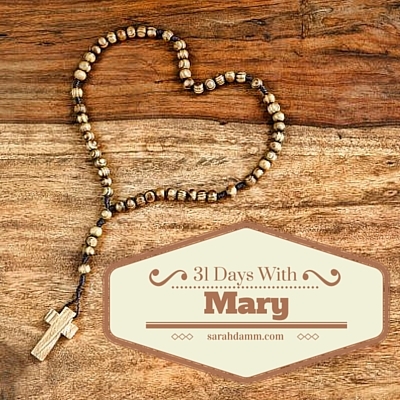 This is a collection of short reflections on each word of the Hail Mary prayer. And even though it is a short book, it is meant to be read slowly, to promote deeper mediation on a prayer that is so easily rushed through. Soon, I will begin a new knitting project that hopefully won’t take me two years to complete. I saw Lion Brand’s color system at Michael’s a few weeks ago, and I was drawn to their coordinating palates. 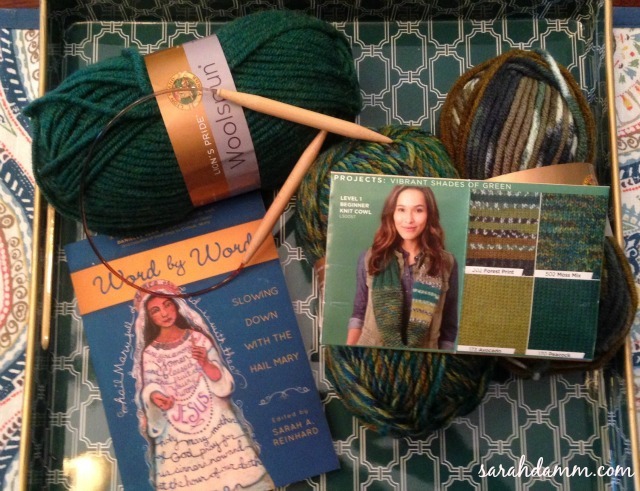 I plan on using these green yarns to knit a cowl for my mom for Christmas (hopefully). What are you reading? Are you knitting or crafting anything? I’d love to know what you’re up to! 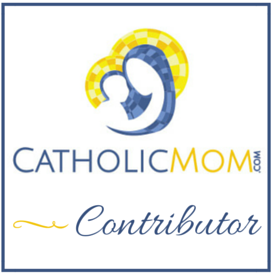 For more Yarn Along posts, please visit Small Things.